The revolution in rail transit technology can be yours. 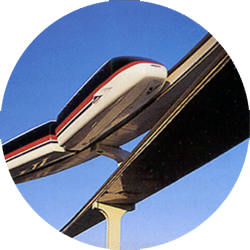 System 21 is a unique, emerging technology which promises significant advantages over existing and traditional rail transit solutions. System 21 incorporates the best of proven transit components and practices in an innovative and revolutionary new system design which can be a more affordable, environmentally friendly and versatile solution for transit applications worldwide. When sponsored to its full potential, System 21 can be a disruptive, market leading technology. Worldwide population growth, increased urban congestion and growing environmental concerns are making the need for effective mass transit solutions even more critical. The increasing costs of existing rail transit systems and the pressure on limited public resources heightens the need for more affordable and efficient new solutions. There is a growing focus on infrastructure needs in many areas of the world, including the United States where a major financing commitment for improvements and modernization is under consideration. The capital markets for emerging and transformative technologies are vigorous, including those like System 21 which hold the potential to incorporate alternative energy sources. FUTREX has successfully completed years of System 21 design and evaluation, a proof-of-concept prototype and planning for final development. The acquirer will have a significant lead, a superior technology and a competitive advantage for providing a new generation of more innovative and environmentally friendly rail transit applications worldwide. 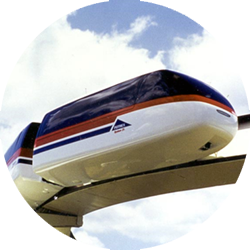 A team of aerospace engineers at Lockheed Missiles and Space Company developed the concept of a breakthrough in rail transit technology known today as the System 21 “monobeam” for its primary innovation: an elevated guideway that provides for 2-way traffic on 1 slender beam. This unique design incorporates proven transit components and practices to reduce technology risk and costs in an innovative new system configuration to significantly reduce capital expenditures, construction time and environmental intrusion. 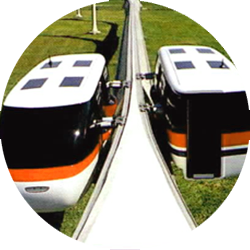 The singular guideway design also incorporates a practical switching mechanism to promote efficient branching and networks. System 21’s compact and relatively light-weight structure is well suited to utilize advances in alternative energy sources. System 21’s design, low cost and versatility will make it appropriate for a wider range of transit applications than any existing rail transit alternative. Under current communications and control technology, System 21 has single-line capacity of up to 15,000 passengers per hour per direction, making it an attractive primary transit system for many cities and communities. In larger cities, System 21 can become a more affordable feeder or extension to existing rail transit systems. 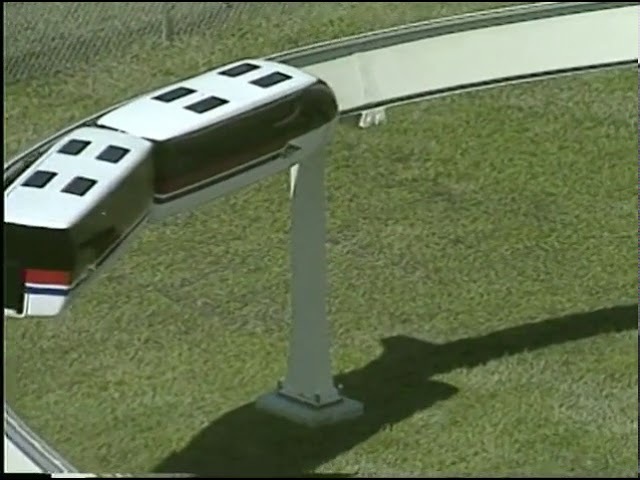 In addition, its low cost and versatility will make it an attractive transit alternative for: airport people movers and connectors; automated people movers for corporate centers, entertainment or resort parks and university campuses; airport express links from center city; and short, intercity rail transit links. In response to its international publicity and marketing efforts, the Company has received interest from cities and countries around the world, including many that are expected to be future markets for System 21. Traditional rail transit solutions, almost without exception, require duplicate, parallel tracks or elevated guideway structures to provide effective, bi-directional service. System 21’s single guideway design eliminates the cost and intrusion associated with these larger configurations and provides more efficient branching and networking capabilities. In addition, most rail transit installations are custom designs, unique to a particular location. System 21’s guideway is designed to be a standardized, modular structure, manufactured to strict tolerances and installed quickly on-site, with the potential to be modified or relocated, if necessary. These advantages and features of the unique System 21 design result in an estimated capital cost of US $25-$35 million per mile, well below that of existing rail transit solutions in the marketplace. 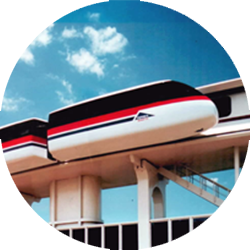 FUTREX is not aware of any emerging or potential new rail transit technologies or system designs that would offer comparable advantages, innovation and transit benefits. With additional development, System 21 is poised to enter a substantial worldwide market with an innovative design that features major cost, environmental and operating advantages. The technology has already attracted significant commercial interest and demonstrated its impressive market potential. System 21 has been evaluated favorably by a State transportation department, a major U.S. airport and a recognized U.S. engineering firm as a preferred rail transit solution when fully developed. System 21 has been the technology of choice in various joint venture proposals involving a planned U.S gambling resort, an international theme park and an international airport access project. Most notably, System 21 was selected to be a new automated people mover at a major Asian airport under a joint proposal by FUTREX, its Asian strategic partners, and leading financial and insurance companies. The airport proposal was pursuant to the Company’s joint venture agreement with strategic partners for the licensing of the System 21 technology in the vast Asian market.